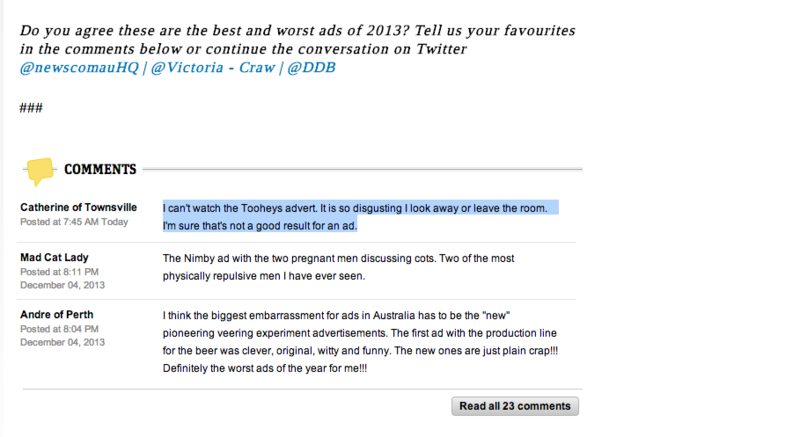 News.com.au went out and asked international advertising agency DDB their thoughts for the year's best and worst ads for 2013. The article, which readers can find here, unsurprisingly features a fair few DDB advertisements in the 'Best' section. Dove's 'Camera Shy', a follow up to their Real Beauty Sketches campaign, shows the soap moguls know their audience well and are pretty darn good at getting them feeling all warm and tingly inside. We're absolutely in love with 'Water is Life Hashtag Killer' piece, which demonstrated that when social media is used right it can be overwhelmingly affective. This writer was personally in tears around 1.26. And I'm going to stop complaining about all my dull and selfish #firstworldproblems. We also give DDB Melbourne a massive round of applause for doing the best thing for milk since the 'got milk?' campaign did in the early 90s with Devondale 'Fast Start'. The whole Konnect Digital office found themselves having a chuckle over the soy affected dad. 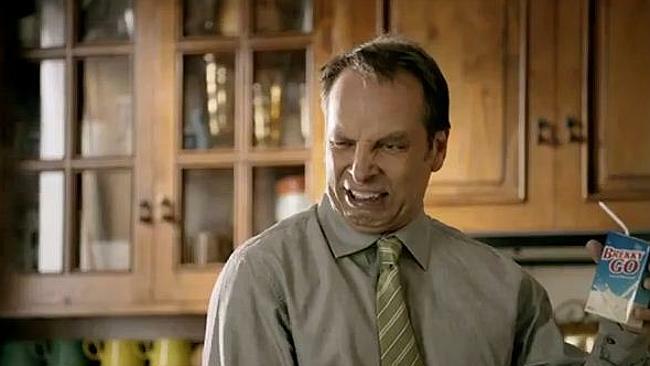 The list for the worst ads of 2013 aren't all that surprising. Tooheys Extra Dry 'Repay your Mouth' was absolutely this year's most vile piece of advertising. The campaign makes us feel queasy leaving us rushing for the fridge for a cold compress as opposed to a cold one. The other four, including Budget Direct, Harvey Norman and Avis Car Rentals, rounding out the five worst, are in there because of their boring boringness or for simply leaving consumers baffled as to why there are aliens, singing in bad French accents, in the shower. Budget Direct may need to redirect their marketing budget for 2014. We'd also like to add to the list AAMI Car Insurance's saga of Rhonda and Ketut . We think Ketut is way too good for Rhonda and her silly brake foot; the summer fling is over, move on. Tooheys take out 'Most Nauseating' in the 2013 ad game.